The concept of HyperDocs is spreading all over edtech land. HyperDocs are perfect opportunities to grow teacher librarian/ classroom teacher partnerships. While it’s quite possible you’ve been building HyperDocs-like instruction for years on a variety of platforms, we can now connect our work to an accepted model and a growing and generous community! HyperDocs, a transformative, interactive Google Doc replacing the worksheet method of delivering instruction, is the ultimate change agent in the blended learning classroom. With strong educational philosophies built into each one, HyperDocs have the potential to shift the way you instruct with technology. They are created by teachers and given to students to engage, educate, and inspire learning. It’s not about teaching technology, it’s about using the technology to TEACH. I recently interviewed the three teachers behind the HyperDocs model. Given one Google Doc, what could you put on it to engage, educate and inspire your students? The “Girls” explain that a true HyperDoc is much more than some links on a document. Beyond the simple worksheet, true HyperDocs are lesson plans that move learning from teacher-led to student-driven, offering students voice and choice, opportunities for inquiry, exploration, critical thinking, collaboration and creativity. Desired outcome (explore, apply, assess)? What specific steps will students follow? Table properties, merge cells, etc. 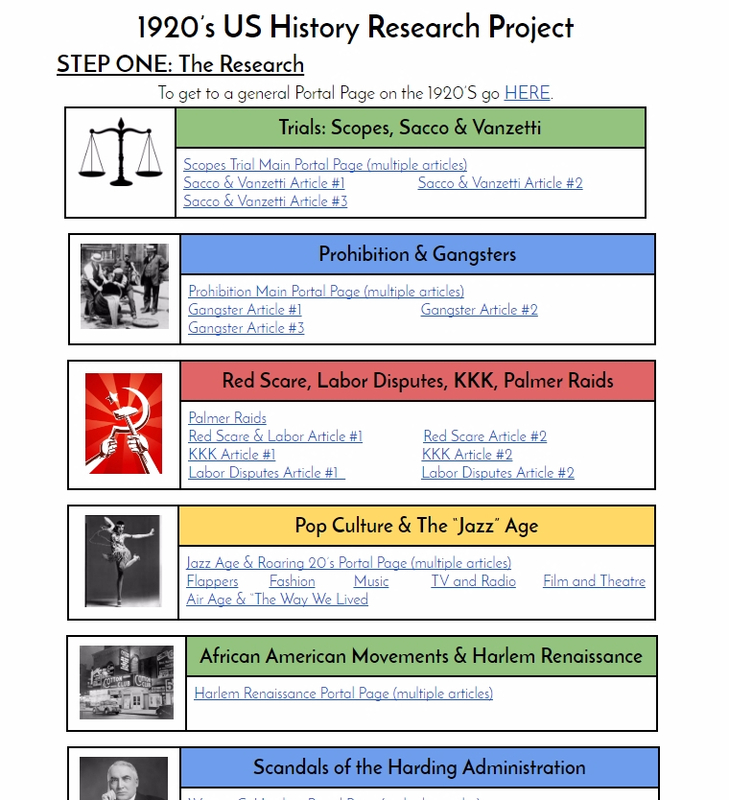 And then, of course, you’ll want to Evaluate your HyperDoc. A HyperDoc checklist can help you hack your HyperDoc to ensure what you design aligns with ISTE Standards, and addresses SAMR, and DOK levels. These instructional creations are not just for Docs. HyperDocs span Google Apps–Slides, Forms, Keep, Drive, etc.–and search tools–Google Books, Images, Scholar, etc. They incorporate thoughtful integration of the third party platforms we already regularly use and love and on which we invite learners to organize, collaborate, create and reflect–like Padlet, Buncee, Sway, Adobe Spark, WeVideo, Evernote, Thinglink, Popplet, Book Creator, etc. They can also incorporate such content-rich resources as library databases, ebooks, videos, and the growing array of available OERs. Guiding the learning through use of an attractive, self-contained HyperDoc, allows the classroom teacher and the teacher librarian to devote their instructional time to pulling and meeting with small groups of students and better meeting learners’ individual needs. Creators deliberately choose web tools to give students opportunities to Engage • Explore • Explain • Apply • Share • Reflect • Extend the learning. Critical thinking and problem solving skills can be developed through linked tasks. Students have an opportunity to create authentic digital artifacts to show what they know, and connect with a wider audience.And the good news is you really don’t need to start from scratch. Templates abound. They are kinda fabulous for scaffolding inquiry and knowledge production. I see HyperDocs as an instructional strategy crying out for school librarian partnership, especially if you are working at a Google Classroom school. And, I propose we begin connecting with each other and other HyperDocs using classroom teachers by combining a new hashtag #HyperDocsLibs with #HyperDocs, etc. I did not link EVERY article on these topics. They still have more they could explore, search, etc. through this database. At least these links get them in and interested in using this source. I found students were no longer on Wikipedia to get an overview of these topics. They were on our database instead! Plus, it allowed me to guide those students with more difficult topics right to sources that would help them . . . You can see the next page was a notetaking page. 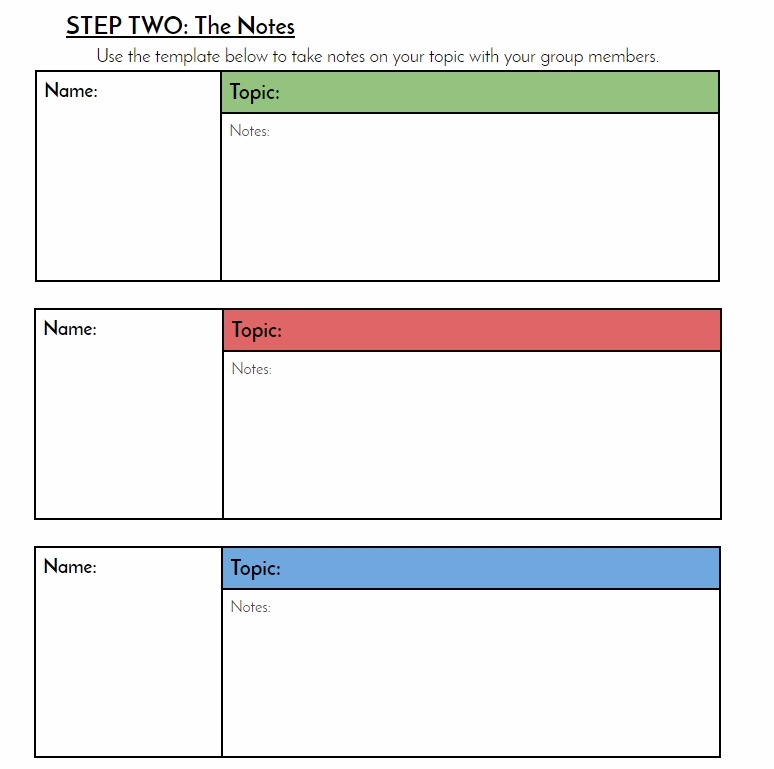 So one person in the group would make a copy of the worksheet if they wished and share it with their group members to put all their notes in one spot. Overall, this HyperDoc was a total hit! Students immediately went to the HyperDoc and started using good reliable resources to start! Wikipedia became a supplementary resource, not their main one. No need to start from scratch . . . The HyperDocs Templates page shares a variety of strategies to ease into the process. Teachers are encouraged to make copies of these templates and customize from among five models. All of this work is situated in a culture of open professional sharing that Lisa, Kelly and Sarah call Teachers Give Teachers. Mark the document with ‘Created By’ and include your name. Search for a HyperDoc using keywords or the creator’s name. And, how about . . .